Mozambique's Miombo Woodlands are a mecca for wildlife, but something relentless has been sweeping through them with decimating force: the illegal timber industry. 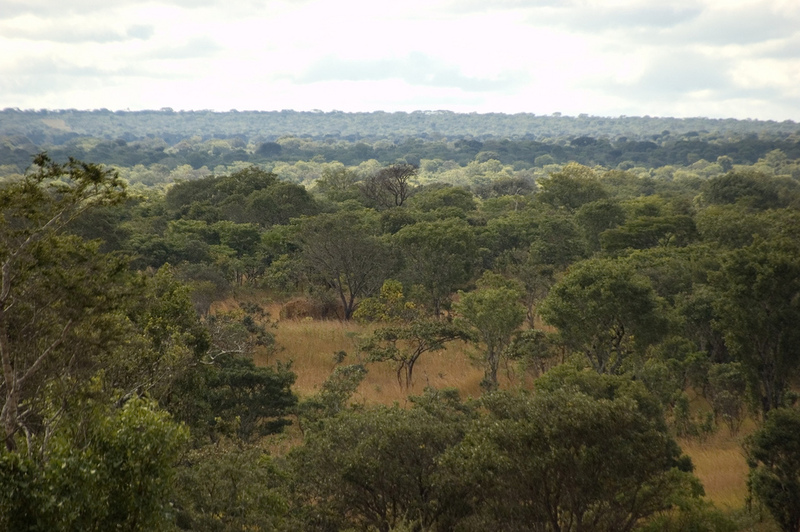 In a new report, the Environmental Investigation Agency (EIA) reveals that a shocking 93 percent of logging in Mozambique during 2013 was illegal. The report is the culmination of over a year's worth of undercover investigations, research and analysis, which has resulted in another disturbing revelation: over the past six years more than 90 percent of this illegally harvested wood has gone to China. Posing as buyers, EIA investigators contacted sellers of Mozambican logs in China who had been exposed in their previous report for working with illegal trade partners. Nearly a year later, five of the previously busted operations were still importing illegal wood. "The staggering level of illegal logging and timber smuggling for the Chinese market has put harvesting volumes way beyond sustainable levels, despite claims to the contrary by Mozambican officials," says EIA Forest Campaigner Jago Wadley. "Without major reforms, Mozambique's forests and forest economy are staring down the barrel of very a bleak future." According to the report, 76 percent more trees are being cut each year than is allowed by "licenced harvests" nationwide limits set by the government. This is enough illegal wood to fill 356 Olympic swimming pools. "Lined up end-to-end in 20ft shipping containers of 20m3 capacity, the stolen timber [bought by China alone] would stretch more than 72 km (44 miles)," the EIA says in the report. Since 2007, this epidemic of illegal trade has cost Mozambique, the world’s second-least developed country, $146 million – enough money to fund the National Forest Program's law enforcement system for 30 years or to cover the 2014 state budget to help alleviate poverty twice over. "Impoverished rural communities are bearing the burden of Mozambique's ongoing illegal logging crisis … a crisis that will not end without immediate and credible action by all concerned parties," Wadley warns. The EIA is calling for an immediate suspension of all timber exports until Mozambique can ensure harvests, consumption and trade can be sustainably met from remaining forest resources … but we fear the road to recovery for these iconic woodlands will be bumpy and long. "Is it possible? Anything is possible with enough political will," Wadley says. "The government would need to institute a prohibition on timber exports (temporary or permanent) and then enforce it ... if the government does nothing to address the massive over-harvesting, we estimate commercial stocks will be completely logged out in 15 years or so." Could This New Report From the EIA Pave the Way to Ending Wildlife Crime?